Can I have client meetings in the Apartment/Complex? Do you provide all linen in the Apartment? Can you organise Tours for us? Can you organise Car Hire for us? Do you have a BBQ area? Can I leave my car in Car Park if we go on extended tour? The Apartments are self-contained, what does that mean? Can I have takeaway food/groceries delivered to my Apartment? Can I cook my own meals in the Apartment? Can I wash and iron my own clothes? Do the Apartments have a private bathroom? Do you have bunk beds and cots? Do you have Wi Fi, Cable TV? Does the facility have Cable TV/Foxtel? Does the apartment complex have a lift/elevator? What’s the difference between serviced and a self-contained? Is there onsite Car Parking? Is there space to entertain my visitors in the complex? Can my visitors use the facilities in the Apartment complex? Can I invite visitors to our Apartment? Is there a minimum or maximum stay period? Can I store my luggage after I check-out? Can we store bikes and other sporting equipment? We fully appreciate that some of you come to Cairns to work (and play, we hope), so yes you can have client meetings in the Apartments. This request must be discussed and approved by Management prior to the meeting and you are expected to follow the criteria listed below. It is important that Reception is fully aware at all times who is entering the building and for what purpose. This is vital in terms of ensuring the safety and security of all guests staying at Inn Cairns Boutique Apartments, as well as adhering to Fire Safety Regulations. All the same criteria applies as with inviting other guests to your Apartment. The maximum number of visitors you can invite to your Apartment for a client meeting must not exceed four (4). Visitors can only enter the Apartment or the Apartment Complex during the daytime between 8:00am and 9:00pm. No person who is not a guest is to be onsite before 8:00am or after 9:00pm each day. All guest’s visitors arriving at Inn Cairns Boutique Apartments must register their presence onsite with our Reception and it is your responsibility to ensure all visitors are registered with our Front Desk staff prior to entering your Apartment. Our Reception hours are 8:00am to 6:00pm Monday to Friday, 8:00am to 5:00pm Saturday and Sunday. On Public Holidays our reception area is open 8:00am to 2:00pm. All guest’s visitors must advise our Reception area when they are leaving. It is a Fire Safety Requirement that management is made aware of all persons onsite at any given point in time. If you require more space for your business meeting or gathering while you are in Cairns, we can suggest you contact the following venues to discuss casual meeting room hire. Cairns Regional Council / Library buildings in City (151 Abbott Street, Cairns is close by). They also have space at the Gordonvale, Manunda and Stratford branches for meeting rooms to hire, and you can book in advance. See more information here. The Boland Centre – 14 spence Street (Cnr Lake Street), Cairns. Nintiringanya Conference Centre – 16 McCormack Street, Mooroobool. This is just a shortlist of what is available, if you have specific requirements don’t hesitate to ask our Reception team for assistance. Yes we do. All bed linen, bathroom towels, kitchen tea towels etc. are all provided. If you are coming to stay with us for a Long Stay our mid-week service clean (longer than 7 days) will include new linen supply. If our guests need more linen, just contact Reception and let us know what you need. All of our Apartments are priced and provided as Fully Self-contained Apartments. This is distinct to serviced apartments. For all guests staying at Inn Cairns Boutique Apartments, each Apartment has a fully equipped laundry enabling guests to wash the linen during their stay. Guest preferring to pay for extra or additional linen can arrange this service at a cost with Reception. For all guests staying 7 or more days there is a mid-week service clean provided and this service includes fresh linen. Yes we can. Our friendly Reception staff will help you with any information you need and there are lots of Tour brochures available in our Reception area. You can also Book Direct on our Tours page and SAVE 5%. Reception area is open between 8:00am and 6:00pm Monday to Friday and 8:00am to 5:00pm Saturday and Sunday to assist with all your Tour enquiries. On Public Holidays our reception area is open 8:00am to 2:00pm. Whether you need to drive yourself around or you’re looking to do some self-drive Day Trips, yes we can organise Car Hire and provide directions and local information. We are locals and know our region well, book with the locals and get the most from your Tours when you stay with us at Inn Cairns Boutique Apartments. Four your convenience we have Hire Car companies that will pick you up from Inn Cairns Boutique Apartments. Give our friendly staff a call +61 7 4041 2350, send us a PM on Facebook or email enquiries@inncairns.com.au for more information on Car Hire. Our weather-proof (mostly to keep out the heat here in the FNQ) BBQ Area is fully equipped with BBQs, plenty of seating with tables and chairs, food prep area and great views. The complex features internal atriums and several outdoor spaces that are perfect for gathering together with fellow guests and enjoying our wonderful climate and rooftop views across the city. Yes we do, and when you’re visiting the tropics of Far North Queensland the weather is so perfect you can practically swim all year round. The complex features internal atriums and several outdoor spaces that are perfect for gathering together with fellow guests and enjoying our wonderful climate and Rooftop Terrace views across the city and hills. Our large swimming pool is located on the Pool Terrace with weather-proof gazebo and BBQ facilities. We are always wanting to help our guests enjoy their Far North Queensland stay. If we have the room in the car park you can certainly leave your car with us while you do a Cape York Tour, or something just as adventurous. Just talk to the friendly staff at Reception to find out what options are available during your stay. And don’t forget, book your TOUR with us. Self-contained … check in, unpack your bag and take a load off. Enjoy your stay. Self-contained Apartments are a great option for Long Stays. If you’re coming to Cairns for work, as a Locum, or on business or you are relocating and need temporary/medium-term Accommodation, or maybe you intend to say for a few weeks or longer, staying with us is much easier than going through real estate agents and dealing with leases etc. And we have great Long Stay rates. Yes, every Apartment at Inn Cairns Boutique Apartments has ducted air cooling the entire apartment with outlet vents in both the kitchen living area and in the bedroom. Takeaway Food – Yes you can. All takeaway food deliveries must be directed to the main Reception area only. During reception hours you will be notified when your order arrives and you must come down to Reception to accept delivery. For security reasons and for the safety of our guests, Inn Cairns Boutique Apartments does not permit anyone other than guests and registered visitors passed the Reception area. Groceries – Yes you can. A large Woolworths Supermarket is located directly opposite Inn Cairns Boutique Apartments and they are open 6:00am to 10:00pm daily, so getting your groceries organised once you arrive can be really easy. If it is important, we would be pleased to discuss your needs and where possible make prearrangement with Reception staff to ensure the delivery can be accommodated. Our Reception hours are 8:00am to 6:00pm Monday to Friday, 8:00am to 5:00pm Saturday and Sunday and 8:00am to 2:00pm Public Holidays. Yes. That’s the joy of self-contained, fully equipped Apartments at Inn Cairns Boutique Apartments. Each Apartment has a fully equipped kitchen. We provide crockery, cutlery, utensils, pots, pans, frypan, coffee plunger and toaster plus some cleaning items. Kitchens also have a fridge/freezer, dining table and chairs. When you’re away from home, even when you’re on holidays, it is always good to be able to cook your own favourite meal/foods. There is a large Supermarket across the street, an organic Wholefoods/organic store (The Source) just moments away and the iconic Rusty’s Markets are open every Friday, Saturday and Sunday with local fresh produce, meat, dairy, seafood available. Yes you can. Each Apartment has a private, fully equipped laundry with automatic top loader washing machine (hot and cold wash cycle options), a dryer and a laundry tub. An iron and ironing board are also supplied. The bathrooms in our Apartments are very spacious. Each Apartment has it’s own private bathroom equipped with a bath and/or shower (depending on room configuration), as well as a fully-equipped laundry. Complimentary bathroom products and a Hair Dryer are also provided on arrival. We love pets, but unfortunately our Bylaws don’t permit pets to stay in the Apartments. Guide Dogs are permitted. If you are travelling with pets and you need some assistance, we may be able to assist with providing information on boarding kennels close by. Check in with our friendly staff for details. We can provide extra sleeping arrangements with Roll-away and Sofa beds and Cots. All available at an extra charge. Our one-bedroom self-contained Apartments can easily accommodate extra people and children. FREE Wi Fi is available to all guests for the duration of their stay. We also have Cable/Foxtel TV. Yes we do. Our guests can enjoy Cable TV and Foxtel available in all Apartments – and its FREE. Each Apartment has a TV in the loungeroom and another one in the bedroom. Free Wi Fi is available to our guests. Yes. Each Apartment has a private balcony with outdoor table and chairs. The balcony is a great place to sit and relax after a busy day holidaying (shopping, eating, sailing, snorkelling …) or a busy day working. Located within the Apartment complex we have a range of facilities to make your stay with us comfortable and enjoyable. Large Swimming Pool and Pool Terrace area with weather-proof Gazebo and BBQ facilities complete with food preparation area, plenty of tables and chairs. Rooftop Terrace that offers spectacular 360 degree views across the city, the Great Dividing Range and out to the Coral Sea. Tour Bookings – speak to our friendly and helpful staff and get the local knowledge on the best activities and Tours on offer. Care Hire facilities – we can help you book your vehicle and plan your self-drive tours. Our guests can enjoy FREE secure, undercover car parking. Printing: if you are here for business and need printing or copying done, just speak to Reception staff and they will arrange this for you. Disability: if you have some mobility challenges there is a lift to every floor plus we do have some mobility related supplies available e.g. nonslip mats for the bath/shower etc. Just discuss your needs with the Reception team and we will accommodate you where-ever we can. Luggage Storage: we are able to store your luggage for you when you arrive early before check-in and when you check-out but are not going to the airport for a few hours so you can go and enjoy a last coffee without hauling your luggage around. And don’t forget our central CBD location puts you right in the middle of it all – shopping, dining, and more. Yes we do. Access to and from our Reception area and your Apartment is easy. The elevator goes to every floor including the Pool Terrace and BBQ area and the Rooftop Terrace area and down to the basement level carpark. With Self-Contained Apartments you look after yourself your way with no daily intrusion from staff into your apartment. It is very much like your home away from home. To welcome you to the Inn Cairns Boutique Apartments there is a starter kit of supplies so you can relax and make a cuppa on arrival but after that you purchase the items you want to have in your apartment. Your apartment includes a separate bedroom, bathroom with laundry facilities, fully equipped kitchen, dining room/lounge area and a private balcony. Generally speaking rooms or apartments that are serviced each day – like a hotel – cost more as the cost of servicing is built into the cost of your room. So with Self-contained Apartments you enjoy more freedom and save money! There’s no better way to shape your holiday the way you want than to take care of yourself. Self-contained Apartments provide privacy, comfort, generally have a better price-point and let you do your own cooking, washing etc. Find out more. The onsite, secure and undercover car park is only available to guest staying at Inn Cairns Boutique Apartments and to clients of who lease car parking space. Should your visitors be aged or have mobility issues please contact the Reception staff who can assist with making suitable arrangements (subject to availability). Our inner city Location – right in the heart of Lake Street – provides easy access to on-street Parking (metered) and secure parking stations are close by. For more information check out the Cairns Regional Council website for detailed Parking information, or ask our friendly staff for information. Yes. And for our guest parking is FREE. We have secure, undercover parking available under the Apartment complex in Lake Street. The 2.3m clearance caters for most large 4WD vehicles. If you’re unsure if your vehicle will fit, Contact Us to discuss your needs.  In fairness to other guests staying at Inn Cairns Boutique Apartments it is important that the number of visitors be limited to no more than 4 and visitors are welcome onsite between the hours of 8:00 am and 9:00 pm only. For security and Fire Safety reasons please ensure you inform Reception that you will be having visitors onsite communicating the number of visitors and the time they will be onsite. All visitors must register at the reception desk when they arrive and let staff know when they leave. Please remember that our Reception area must be keep clear at all times so guests arriving, departing and making enquiries can do so without hindrance. Yes. Under the guidelines outlined Can I invite visitors to our Apartment? this is permissible. Your must accompany your visitors at all times while they are in the Apartment complex. Remember, the maximum visitors you can have at one time is four (4). Yes. We want to make your stay as enjoyable as possible, and catching up with friends and family, and even work colleagues is important. But we ask you to consider our other guests at all times. The maximum number of visitors you can invite to your Apartment must not exceed four (4). All guest’s visitors arriving at Inn Cairns Boutique Apartments must register their presence onsite with our Reception. It is your responsibility to ensure your visitors are registered with our Front Desk staff prior to entering your Apartment. Not really, naturally we would like you to come stay with us at Inn Cairns Boutique Apartments for at least a few days, or longer. But, there are NO FIXED MINIMUM STAY PERIODS*. You are welcome to stay for one night if that’s what you need. But the MAXIMUM STAY period is set at 3 months. We have great discount packages available for Long Stays – find out more here. *From time to time we are pleased to bring our guests Special Offers and these offers may include a minimum stay, check our Terms & Conditions for more information. Yes, of course you can. We have a secure storage area where you can store your luggage if you’re waiting for a flight out of Cairns and have some time to fill in. There is no need to drag your luggage all over town, we will store it for you and you can pick it up when you’re ready to go to the Cairns Domestic/International Airport. Speak with our friendly staff. We do have storage available onsite for luggage and other items, and yes guests have regularly stored bikes and sporting equipment with many visitors coming to cairns to compete in various sporting events here. Best to check with our friendly staff to discuss your requirements. Rest assured we will do everything we can to be of assistance during your stay.